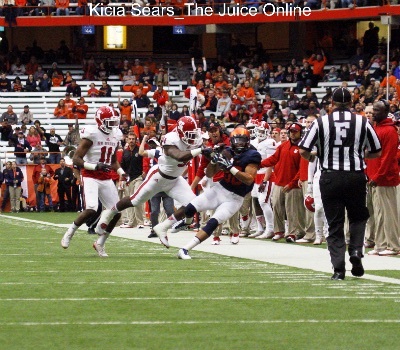 Over the summer, The Juice Online is going to highlight individual players on the 2015 Syracuse football team. This week, we’re profiling offensive lineman Ivan Foy. Ivan Foy has made another change this offseason. This time, though, it’s strictly about football. 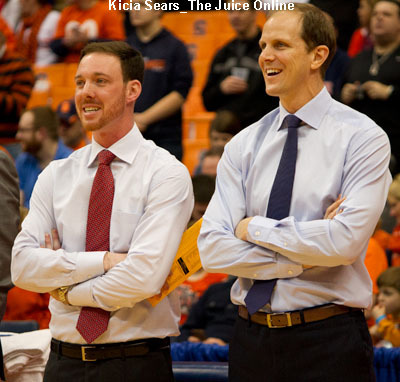 In spring of 2014, Foy was suspended by head coach Scott Shafer over academic issues, a low point in his Syracuse career. But since that time, Foy bounced back in the classroom, and was allowed back on the 2014 team. With his academics in order, Foy has now focused on the field. In 2014, Foy was limited to just six games because of injuries, but Foy is finally healthy and has shed significant weight in the offseason. He’s also learning a new position, shifting from right to left tackle. In practice, Foy has been matched up against defensive lineman Ron Thompson, which has been a learning curve in and of itself. Career highlights: In 2013, Foy started all 13 games at right tackle and helped pave the way for an SU rushing attack that ranked fourth in the ACC, averaging 194.8 yards per game. 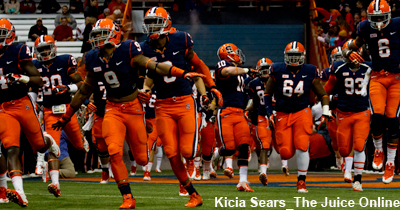 Recruiting Roundup: Syracuse showing ‘lots of love’ to 2017 WR Anthony White Jr.